Aromatherapy is the holistic and natural approach to achieving good health. Also referred to as oil therapy, it uses essential oils as medicine to improve mental and physical health. Aromatherapy isn’t new as it has existed for centuries across many different countries and cultures. Back before advancements in medicine, people relied on more natural means for cures and treatment. There are numerous benefits with aromatherapy including managing pain, improved sleep, less stress and anxiety, relief of soreness and headaches, fending off bacteria and virus, improved digestion and much more. 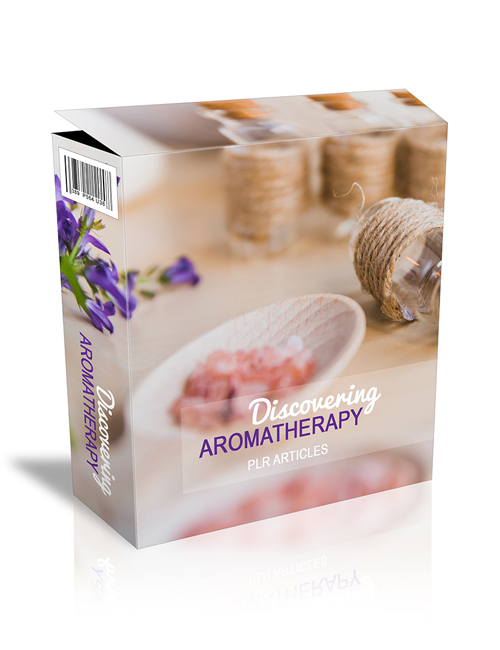 In this pack of plr articles, you’ll be educated on everything from aromatherapy bath salts, bottles, incense, scented candles, and more. You’ll learn more about its history and uses and all the many benefits along with how you can use it to improve your own health and well being. If you’re already in the aromatherapy niche and are needing educational content for your blog in order to teach your users and followers, these articles would be a fantastic choice. A great way to expand your audience through newsletters, freebies and ebooks.